I originally posted this here on January 20, and updated the numbers on January 21. The sources are from briefings conducted by the Consular Bureau on January 18 on consular services provided to American citizens (amcits) during the Haiti disaster. Updated numbers are from the Spokesman’s briefings on January 19, January 20 , January 22, January 25 and January 26. The FS info that came from tips received and not confirmed officially are labeled n/c below. For an account of the immediate aftermath of the earthquake from one of our diplomats on the ground, read FSO Gary Rex’s piece, ‘The most terrible disaster movie you can imagine’ from The Journal Star of Nebraska. that would help our locally employed staff in the country. Updated 1/27 with January 26 DPB. QUESTION: — four U.S. official deaths, meaning the three were dependents? I did not realized that the dependents killed in Haiti were all family members of one employee. State Department employee Andrew Wyllie who was working for the United Nations in Haiti lost “his wife on her birthday and his seven-and-a-half and five-year-old children,” according to Secretary Clinton. My heart is full of sadness. Please keep him in your thoughts and prayers. 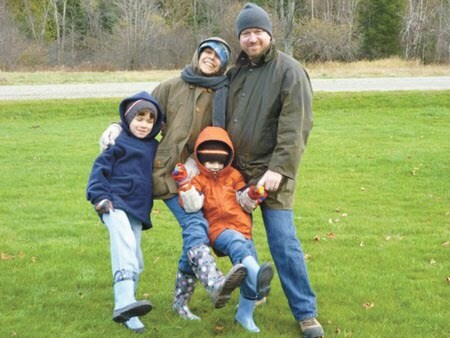 Andrew Wyllie’s wife Laurence and his two young sons Evan and Baptiste were lost in the disaster. Click here for the official statement from the State Department. The Department of State’s Bureau of Diplomatic Security contracts with Triple Canopy, the U.S. Training Center (formerly Blackwater), and DynCorp for personal protective services around the world, including Jerusalem, Iraq, and Afghanistan. OIG’s review of Triple Canopy, Blackwater, and Dyncorp contract TOs found insufficient documentation to meet the objectives of the audits. Federal Acquisition Regulation (FAR) 4.805 requires contract files listed in FAR 4.803 to be retained for a minimum of six years and three months after the disbursement of the final payment on the contract. OIG requested 34 contract and procurement documents for each TO. The table below depicts the number of documents provided for review and the number not available for review. Audit of Contract Administration of the Triple Canopy Second Worldwide Personal Protective Services Contract in Iraq, Task Order 007, under Contract Number S-AQM-PD05-D-1100. Whoops! Where did the documents go? Active links added above, btw.